Ellison lost her mother at an early age. But since then, her father has found love again. He's happy and doesn't quite notice that Ellison does not get along with his new wife or her mean daughters. 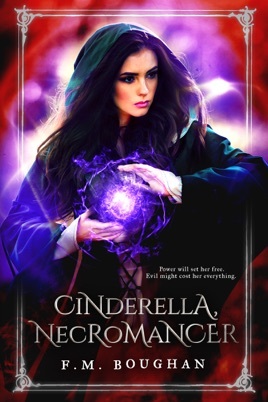 When Ellison discovers a necromantic tome while traveling the secret passages of her father's mansion, she wonders if it could be the key to her freedom. Until then, she must master her dark new power, even as her stepmother makes her a servant in her own home. And when her younger brother falls incurably ill, Ellison will do anything to ease his pain, including falling prey to her stepmother and stepsisters' every whim and fancy. Stumbling into a chance meeting of Prince William during a secret visit to her mother's grave feels like a trick of fate when her stepmother refuses to allow Ellison to attend a palace festival. But what if Ellison could see the kind and handsome prince once more? What if she could attend the festival? 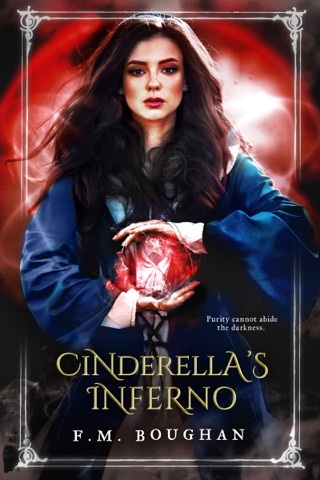 What if she could have everything she ever wanted and deserved by conjuring spirits to take revenge on her cruel stepmother? As Ellison's power grows, she loses control over the evil spirits meant to do her bidding. And as they begin to exert their own power over Ellison, she must decide whether it is she or her stepmother who is the true monster.